The Academy Awards, better known as the Oscars, were held on February 24. They are one of the world’s most famous movie awards and are held annually in Los Angeles, U.S.A. The movie Life of Pi won the most awards. It received awards for Best Director, Cinematography, Visual Effects, and Original Score. Life of Pi is about a 16-year old Indian boy who survives a shipwreck with a tiger. The Best Picture award went to Argo, a thriller movie about a rescue mission. This award was announced by Michelle Obama, the wife of the president of the United States, from her home in Washington, D.C., the capital of the US. The Best Actress award went to Jennifer Lawrence for her role in the movie Silver Linings Playbook. The Best Actor award went to Daniel Day-Lewis for his role in the movie Lincoln. The Best Animated Film award was won by Brave, a movie about a princess trying to undo a curse. The first Oscars were held in 1929. The winners at the Awards are given an “Oscar”, a 13½ inches tall statuette of a knight on a reel of film holding a sword. It is unclear how the nickname came about, but one popular story is that a librarian who worked for the Academy mentioned that the statuette looked like her Uncle Oscar. The Razzie Awards, also known as the Golden Raspberry Awards, were held a day before the Oscars in Los Angeles. 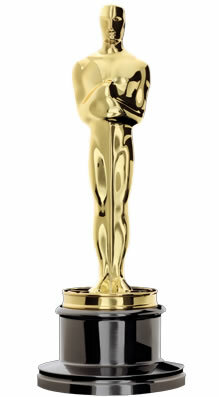 These are considered to be a spoof of the Academy Awards. Oscars celebrate the best in films, whereas Razzies pick the worst. The Razzie Award for the worst film of 2012 went to “The Twilight Saga: Breaking Dawn – Part 2”. The Razzies were started in 1981, and the trophy awarded is a golden raspberry on a film reel. These awards got the name “Raspberry” from the term “blowing a raspberry”, where people make a sound with their lips when they look down upon something. 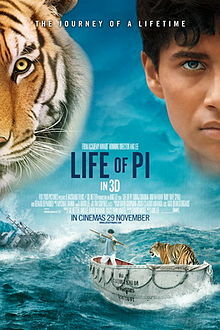 You can watch a preview of Life of Pi here. There are three movies that have won 11 Academy Awards each, which is the most number of awards won by a single movie. These are Ben-Hur (in 1960), Titanic (in 1998), and The Lord of the Rings: The Return of the King (in 2004).